Wow I am so exhausted. The weekend was crazy. On Saturday we split parenting duties and kids. Todd had a date with Priyasha and I had a date with Pravan. I took Pravan to Alan's sixth birthday party. Yes we have been to one every week so far. It was so peaceful to have just one kid. Pravan enjoyed the fact that he had all my attention and I could tend his his every need and pamper him like I used to when he was the only child. Priyasha and Todd hung out in the sprinklers and had a great time bonding. I was beat when I got home and I discovered a ton of sheets that needed to be washed as Priyasha had an accident in her bed. I picked up a little and rested before we planned a delicious steak and mash potatoes with green beans for dinner. After dinner Todd decided to take the kids out to ice-cream. I stayed home and enjoyed my overdue alone time. 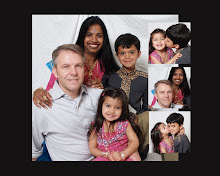 It is getting better as Priyasha gets older and Todd can manage them both better. There is hope at the end of this parenting tunnel. Today, Sunday was a family day and we all went to the pool. I packed lunches and gathered up towels, sun block and toys. Priyasha has this new doll that can swim in the water and I could not wait to try it out. I forgot that it needed batteries so we will have to wait for the next pool trip. I spent the afternoon shopping all by myself. I was very tired and it was extremely hot. I got Pravan some outfits for back to school. I also discovered the science section in toys r us and got Pravan an ant farm, the human brain model and the human body model. He is very interested in the human body and learning all about the different parts. This would be great for him. I cannot wait to see his face. He will get lots of transformers as well. Only three days for his birthday.